The Galaxy S10 series has been leaked heavily already and at this point in time, nearly everything that is to know about the phones is known. Of course, none of these rumors are confirmed right now but since the phones will be revealed in about two week’s times, we won’t have to wait for long to find out. For now, two renders of the Galaxy S10 Plus have been leaked and provide a good view of the back of the device. Well-known tipster Roland Quandt has apparently shared official press renders of the upcoming Galaxy S10 Plus in the colors Ceramic Black and Prism Black. The images only show the back of the phone and although the two color variants do not look a whole lot different there are clearly some variations if you look carefully. The Prism Black is more of a standard black color while the Ceramic Black has an undertone of a brown/metallic hue. The render also shows the horizontally aligned triple camera system of the phone and there is no fingerprint reader in sight which is not surprising as the phone is rumored to come with an in-display fingerprint reader. The ceramic variant of the phone is expected to be the maxed out variant of the Galaxy S10 Plus and it will reportedly feature 12GB of RAM and a terabyte of storage. As the name suggests, the phone will probably have a ceramic material on the back, making it thoroughly scratch-resistant. However, we don’t believe that it will able to resist cracks against drops. Leaked European pricing details have pointed out that this particular variant will sell for $1,700 but it remains to be seen if consumers would be willing to shell out that much for a smartphone. It is also not known whether this model will be available in all the markets. Samsung will reportedly announce the Galaxy S10 series during its Unpacked event on February 20. All the phones in the series will most likely be fueled by the Qualcomm Snapdragon 855 or Exynos 9820 and come pre-installed with Android 9 Pie. 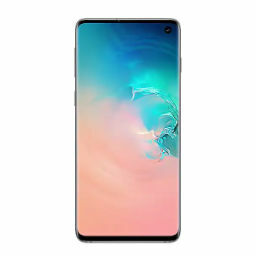 If you cannot wait to place your order for the Galaxy S10 Plus, there is a chance that you might be able to pre-order any model much sooner than later. How do you like these different versions of the Galaxy S10 Plus? Let us know down in the comments.